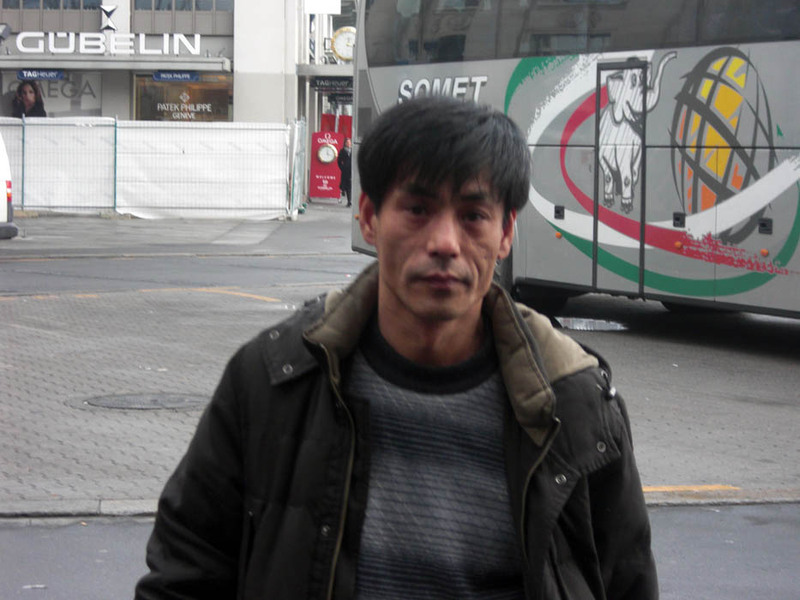 About 1:30pm on February 1st 2009, a Beijing tour guide assaulted a Falun Gong practitioner in the renowned tourist site Luzern. The perpetrator is named Cao Zhangjie from Beijing who currently holds a Chinese passport. According to the description by the injured Falun Gong practitioner Xiao Ying, around noon that day she was giving out leaflets in Luzern city centre exposing the brutal persecution of Falun Gong practitioners in China. A male tour guide, who was later identified as Cao Zhangjie by the police, led a group of Chinese visitors walking nearby. He refused, using abusive language, the material Xiao Ying tried to give him. Xiao Ying then turned around and talked to other Chinese tourists about Chinese Communist regime’s abuse of human rights. Xiao Ying just managed to say a few sentences when the tour guide started to shout abuse. “As I could see that he was very irrational, I ignored him and continued to talk to visitors beside me.” At this moment, this tour guide raised his leg and ruthlessly kicked Xiao Ying’s abdomen. “He kicked right on my abdomen. Even though I was wearing quite thick clothes, I still felt terrible pain. If it was not for our Master’s protection, it was very likely I would have fallen to the ground.” Xiao Ying told the reporter. According to Xiao Ying’s recollection, Cao Zhangjie shouted while pointing to Xiao Ying’s nose with a just ignited cigarette: “Do you want to be beaten again? If you speak again, I will kill you.” While shouting, he tried to touch Xiao Ying’s face with burning cigarette. Xiao Ying continuously tried to push his hand away. At this moment, a few tourists in the tour tried to pull him away. While being pulled away, Cao Zhangjie stared at Xiao Ying and continued to threaten her: “Try to speak again. If you do, I will kick you to death!” Xiao Ying then took out her digital camera and pointed to Cao Zhangjie. “He immediately ran towards me and tried to forcibly take the camera from me. He turned and pinched my hand with all his strength.” Xiao Ying showed her arm to the reporter and her wrist still had clear purple marks left by the assault. Xiao Ying said that she then called the police using her mobile phone. After hearing from tourists in his tour that the police were being called, Cao Zhangjie hurriedly went to a nearby shopping store and urged his tour guests who were shopping to leave quickly. At this moment Xiao Ying tried to take a picture of him again. When Cao Zhangjie saw it, he came over and attempted to beat Xiao Ying again. This time an elderly Falun Gong practitioner Ms Hao blocked him. “I told him to respect the law here. He yelled to me, ‘I know the law, what is the use of the law? I ask you, what is the use of the law?’ When he was yelling, his face almost touched my one. He was mad.” Ms Hao told the reporter. Just when the coach (registration no. I – DA 639LG) was about to leave, the Swiss police arrived. The police inquired about the incident. 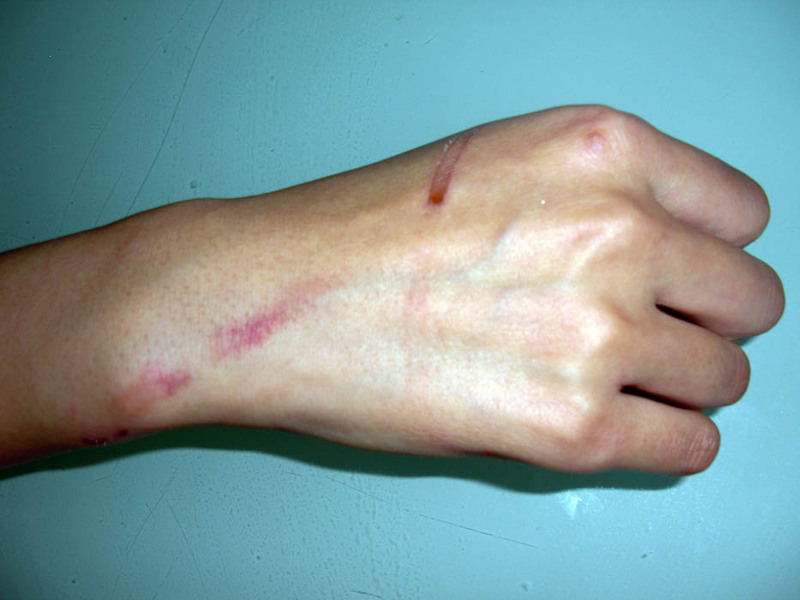 When they saw the clear marks on Xiao Ying’s wrist, the police asked Xiao Ying if she wanted to press the charge against the perpetrator. “In fact I only wanted to go to the police station to have the incident recorded, with the main purpose of not to let the perpetrator to assault again”, Xiao Ying said. Falun Dafa Practitioners in Switzerland Wish Master a Happy New Year!